Every morning either before or after breakfast, or sometimes instead of breakfast I juice up a bunch of veggies for my morning drink. 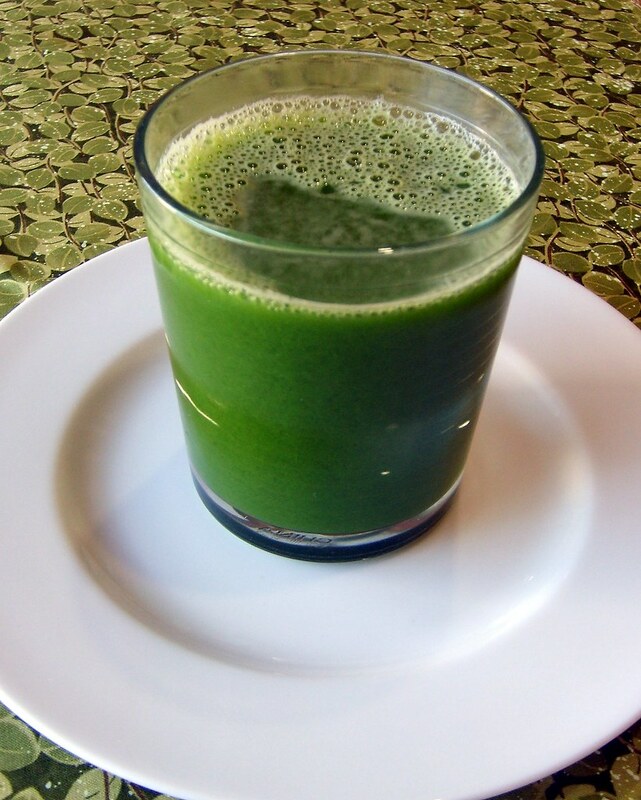 I use a Breville Fountain Juicer and I love it! 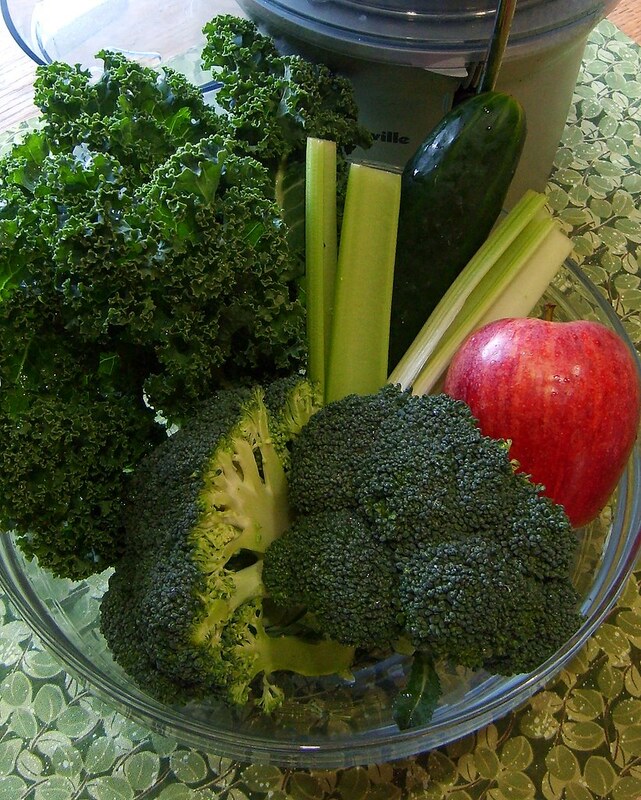 It does a great job of juicing anything and cleans up easy. I'd love to have a VitaMix, but I just can't bring myself to spend over $400 for a blender--that's the cost of a plane flight somewhere fun! So whenever I want a creamier drink I juice my veggies first, then add them to a blender, add a couple of slices of avocado and it works just as well. My juice drink consists of the following ingredients, but nothing ever goes to waste in my fridge. Sometimes the drink is bright green like today's, other times it's reddish-brown because I add rainbow Swiss chard and other times it has an orange hue because I add carrots. No matter what I add, it still tastes great and I feel like I'm doing good for my body. In addition to vegges, I sometimes add a tablespoon of ground flaxseed. And if you're ever traveling and you don't have access to a juicer (and who does), no worries, you can purchase individual travel packets of Amazing Grass, Organic Green SuperFoods (my personal favorite) and have your green drink everyday no matter where you are! Note: Make sure that all of the ingredients you use are organic and wash all vegges before using. You can also add a slice of ginger or lemon for additional flavor.